Call (603) 448-3117 or click here to email and find out about the many and varied uses and functions our spaces can accommodate. Our spacious first floor galleries can accommodate a variety of inspired events, from annual meetings and sit-down dinners to cocktail parties, concerts and poetry slams. Our teaching studios are great sites for off-site meetings, special presentations and smaller gatherings. 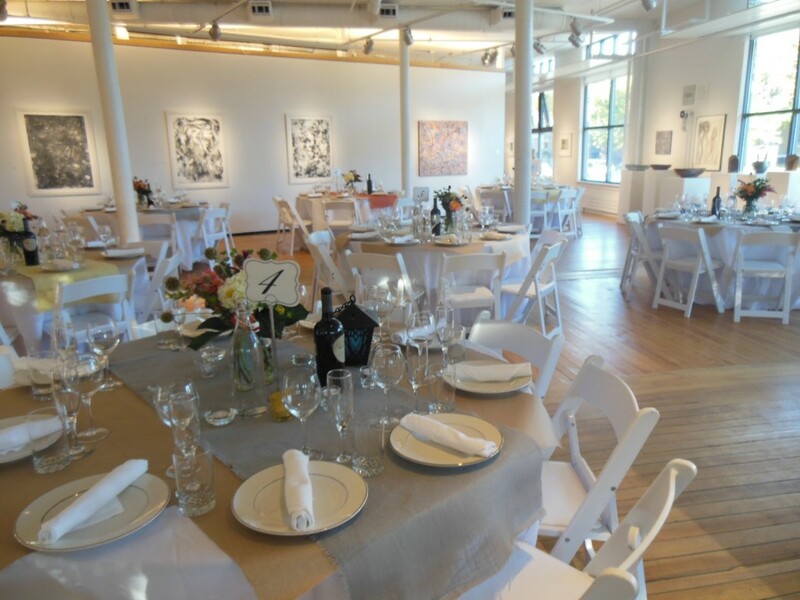 Come check out AVA’s beautiful spaces as the possible site for your next event! Celebrate your child’s birthday with an individually designed art party based on her wishes, ideas, or dreams. Two-hour birthday party workshops are available on weekends throughout the year and include a Master of Ceremonies, who will work with you to personalize the experience to your child, all art supplies, and the use of our Children’s Studio and Children’s Loft. Food is not included, though time within the two hours is allotted for cake and refreshments. AVA Birthday Parties cost $200 for up to ten participating children, with a $20 fee for each additional child above the tenth. Please click here to email or call (603) 448-3117 to learn more about AVA birthday parties.